just would like to show what difference it can make when you clean the inner side of a headlight (using some chopsticks and a cottonball). Do not touch the chrome reflector and if at all only use very little distilled water to wet the cottonball. (don`t completely soak it). Put your headlight on a towel, lens downwards and throw in the cottonball. Move it around with the chopsticks. If you want to turn the headlight around to see if you cleaned it all remove the cottonball before that. I recently bought a brandnew headlight for my Vespa scooter and it was the same. I've done something similar with the headlight of the ST2. 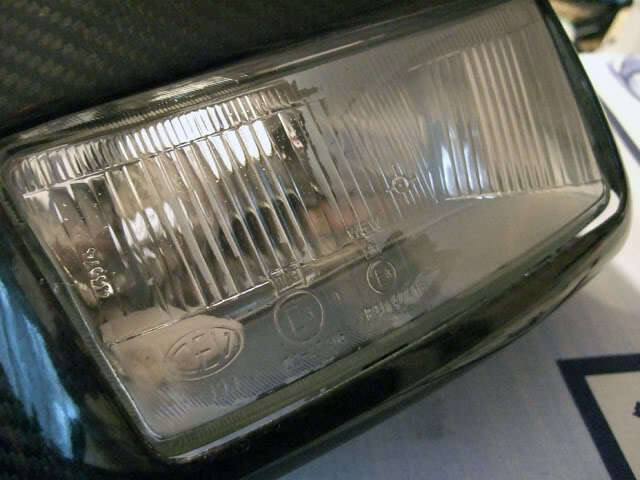 For it, I put some glass cleaner in the headlight housing and just swirled it around. I then flushed it out with lots of water and then dried it really well before reinstalling. The one time I used a hair drier to dry it a bit quicker and a lot more thoroughly. Quite radical. That`s something I would not do. The reflector is usually only chrome steamed plastic and glass cleaners or other detergents that are only minimally abrasive or even create abrasive gases can attack the chrome and make it dull. It's been a fairly common practice with the ST2/ST4 headlights for at least eight years because I first heard of it and did in back in 2000 when I bought my bike. I've never heard of it damaging an ST2 or ST4 headlight, but you are correct. A person would not want to use an aggressive cleaner or it could eat the chrome finish right off of the reflector. don`t know how good the quality of the reflectors nowadays is. I had some old fog lights once and you got a silver finger only by touching the reflector just like from cheap chrome spray paints. 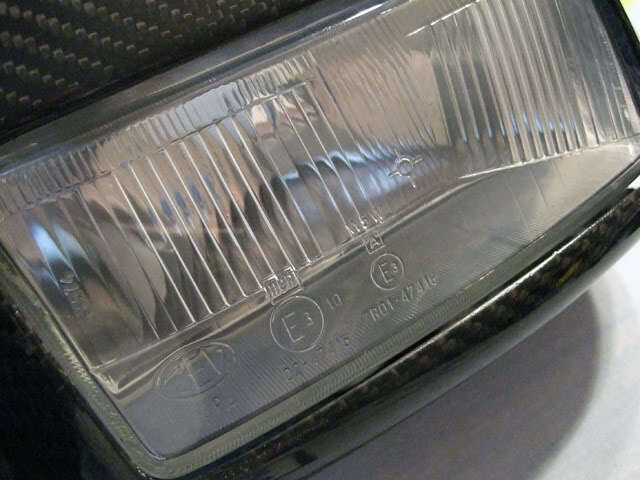 I had some old fog lights once and you got a silver finger only by touching the reflector just like from cheap chrome sprays. I had a light bulb blow out on my ST2 and somehow it discolored the chrome reflector. I had the bright (pun intended) idea to try to buff it out and used an automotive wax to try to clean it up.....that was a HUGE mistake. About two little swirls with my finger and the cloth and I lifted the reflective coating right off the reflector. 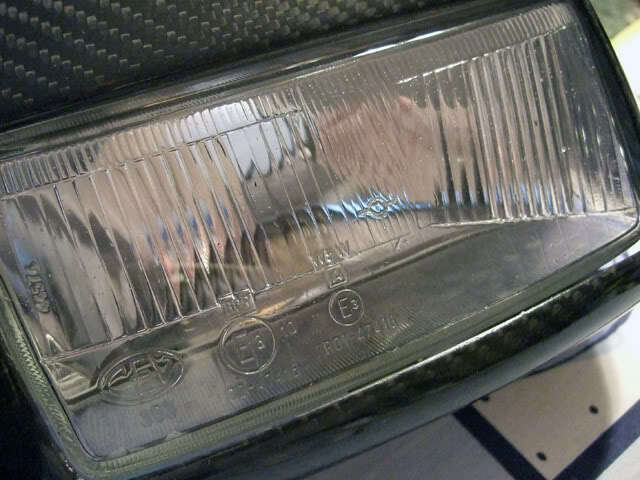 That "foggy" headlight is common problem in STs and i have opened my sisters husbands 1999 ST2 headlight and cleaaned it totally, he have been since happy with it. Its easy to open totally in ST, cause light is made from 2 pieces and its only "welded" together with some silicone, or similar stuff. I used only very sharp knife to open it from middle, then totatty cleaning and parts back again with something similar, like silicone. Very simply in ST.
im going in. im gonna clean with great care the internal parts of my supa dim 906 haedlight. its a european one so its got an orange filter on it for uk roads. this does not help on my preference for minor country roads! im gonna check the volts to the bulb as well. and im gonna hunt down a uk unit if anyone has a spare one give me a call on 07919037083 anytime. and also im going to source a yammy fz koito unit and give that a go. nice one gerhard. that is a good price too! ive bought it so now i wait for it to arrive and i can save the original unit(which i will clean) for when i visit europe! perfect and thanks again.